Here is something to get your teeth into! 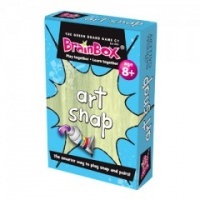 Play Pairs and Snap and Pairs using delicious food concepts. When playing Snap with this fantastic deck of cards you would be trying to snap cards in the same basic food groups, like Banana and Tomato. 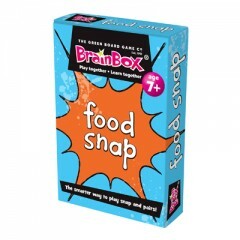 The food groups included in this deck are fruits, vegetables, fish, meats, fats and sugars. In order to play Pairs, simply turn all the cards upside down and turn two over to see if they match. If they match, the cards are kept, if not you turn them back face down. The aim is to collect all the cards. 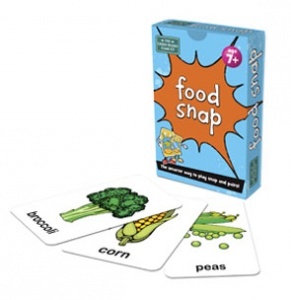 Two fun games in one that help children learn important food group concepts.